Lisa Borst received her Associate of Science in Dental Hygiene in May of 2000 from Indiana University Northwest. She completed her Bachelor of Science in Dental Hygiene in June of 2015. Lisa joined the dental clinic faculty of the Dental Education in the Fall of 2014. 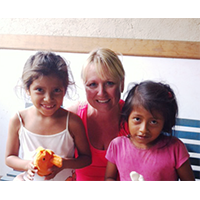 She is currently teaching in the Dental Hygiene Clinic and Oral Anatomy Laboratory. Noreen Castle received both her Associate of Science in Dental Hygiene and Bachelor of Science in General Studies from IUN in 2011. She is currently pursuing her Master’s Degree in Public Affairs from IUN. 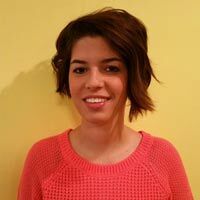 Noreen joined the Dental Education team in 2013. She is currently teaching Clinical Practice in the dental hygiene clinic, Dental Radiology Laboratory and Radiology Clinic for dental assistants. She also teaches Medical and Dental Emergencies and Therapeutics Oral and Written Communication and Introduction to Dentistry. 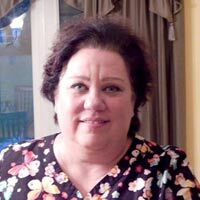 Cinda Fife completed her Bachelor's Degree in Continuing Studies in 2012. Currently, she is a Visiting Clinical Assistant Professor in the Dental Education department. She is pursuing her Master’s Degree in Public Health Administration through the School of Public and Environmental Affairs. Elizabeth Fitzgerald graduated from the Dental Assisting program at Indiana University Northwest in 2005. Following graduation, she completed her Expanded Functions Dental Auxiliary (E.F.D.A.) program. Elizabeth has been employed with Dr. Darryl Graden’s office for over ten years as a dental assistant. In 2012, Elizabeth completed the Coronal Polishing and Caries Prevention program offered at IUN. She is currently a clinical instructor at Indiana University Northwest in the Dental Assisting program. Dr. Christopher Gall received his undergraduate degree from Butler University. He graduated from Indiana University School of Dentistry Class in 1992. Currently, he is practicing general dentistry in Griffith, Indiana. 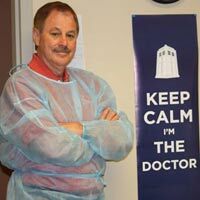 Dr. Gall participated in the Dental Education Externship Program since 1992. He began lecturing at IU Northwest in 1994. Currently, he teaches the following courses: Anatomy and Physiology, Microbiology and Infection Control, Dental Materials, Local Anesthesia. Dr. Gall also offers a continuing education course in Local Anesthesia for dental hygienists. He is the Past President of Northwest Indiana Dental Society, and an active member of ADA, IDA, Academy of General Dentistry, International College of Dentists, American College of Dentists, Pierre Fauchard Academy, and the Dental Study Club of Northwest Indiana. Dr. Rosanne Garza graduated from Indiana University School of Dentistry in May of 1989. She was temporarily employed for the Indiana State Board of Health, traveling as a dentist serving migrant children throughout the state. She was an associate dentist for over a year prior to establishing her private practice. For the past 24 years, Dr. Rosanne Garza practices at Gentle Dental Family Care in Griffith, Indiana. She became a Dental Education faculty member in May of 2014 as a clinical dentist teaching in the dental hygiene and dental assisting programs. Lynn Holm received her Associate of Science in Dental Hygiene in 1975 from Loyola University Chicago College of Dentistry. She joined the ranks of the Dental Education faculty in 1992. Currently, she is a clinical instructor in Clinical Practice I and Clinical Practice III. Dr. Steve Holm received his Bachelor of Arts degree from the University of South Dakota in 1972. In 1976, he graduated with his Doctorate of Dental Surgery degree from Loyola University School of Dentistry. 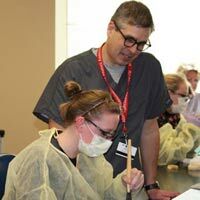 Dr. Holm was instrumental in establishing the Dental Education programs at Indiana University Northwest. 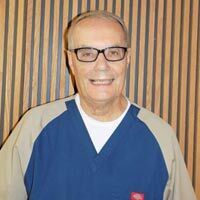 He has been teaching in the Dental Education program since 1977. He currently teaches the following courses: Oral Anatomy and Physiology, Oral Pathology, Local Anesthesia for dental hygienists. Patricia Imboden graduated from Indiana University Northwest with an Associate of Science in Dental Hygiene in 1996. She completed the Expanded Function Dental Auxiliary program earning a certificate in 1996. In 2012, she earned her Certified Dental Assistant (CDA) certificate. She completed her Bachelor of Science in Dental Hygiene Degree in June of 2016. 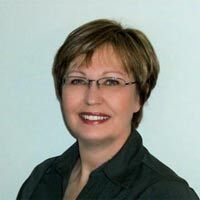 Her dental career began in 1976 as a chairside assistant and continued to work as a dental assistant for 13 years, transitioning to expanded duties. She became an IUN adjunct dental faculty member in the Fall of 2002. She practiced for 19 years as a licensed dental hygienist. Her experiences include providing services in general practice while simultaneously working 15 years in a periodontal office. Rita Jablon is a Clinical Associate Professor. She is a graduate of Indiana University - South Bend Dental Hygiene program. 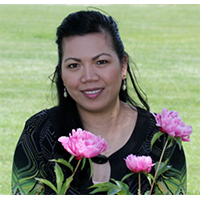 Rita has worked in private practice as a dental assistant and as a dental hygienist. She joined the faculty at Indiana University Northwest in 1993 and in 1997 became full time. 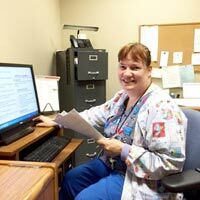 Currently, Rita is the Clinical Coordinator in the Dental Education program at IUN. She teaches the following courses: Clinical Science I and Clinical Science II in the dental assisting program. In the dental hygiene program, Rita teaches Fundamentals of Dental Hygiene, Dental Hygiene Clinic, and Dental Health Education. 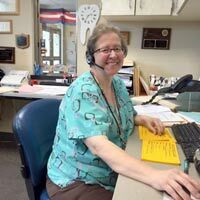 In the past Rita has taught: Clinical Practice II, Community Dental Health, Radiology Laboratory, Introduction to Dentistry, and was the Extramural Coordinator for the Dental Education programs. 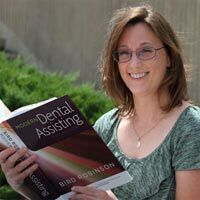 Rita finds teaching to be the most rewarding in that she gets to share her passion for dental hygiene and dental assisting with not only her students but with her colleagues as well. Donna S. Krause, CDA, LDH, MPA, is Assistant Dean in the College of Health & Human Services, a Clinical Associate Professor, and Director of Dental Education. Professor Krause graduated from the dental hygiene program at Indiana University Northwest with an Associate of Science degree in 1987. She continued her studies at Indiana University – Purdue University at Indianapolis, receiving her Bachelor of Science degree in Public Health-Dental Hygiene in 1988. Then in1992, she earned her Master of Public Affairs degree with a concentration in Health Administration from Indiana University Northwest. She is a Certified Dental Assistant and a Licensed Dental Hygienist with a Local Anesthesia Permit. She is a member of the American Dental Educators’ Association, American Dental Hygienists’ Association, and Indiana Dental Hygienists’ Association. She served as President, Past-President, and Vice-President of the Northwest Indiana Dental Hygienists’ Association. Currently, she serves as a board member for the Dental Hygiene Study Club of Northwest Indiana. 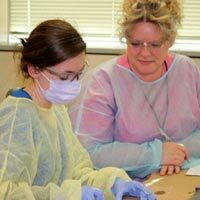 Her passion for teaching is exhibited in the numerous dental radiology courses she teaches to both the dental assisting and dental hygiene students. She is also the instructor and coordinator for the community course titled Dental Radiography for Office Personnel. Dr. Thomas Kroczek received his undergraduate degree from Indiana University in 1958. He pursued his Doctorate of Dental Surgery degree from Indiana University School of Dentistry in 1961 and completed his postdoctoral degree in Orthodontics in 1963. He joined the faculty in the Dental Education Clinic in 2012. Dawn Marciniak graduated in 2004 with an Associate of Science in Dental Hygiene and completed the Bachelor of Science in Dental Hygiene Degree in June of 2016. She joined the Dental Education department in the Fall of 2014, teaching a component of the Dental Assisting Clinical Science I course. She is also a clinical instructor in the Dental Education Clinic. Terra Nightingale received her Associate of Science degree in Dental Hygiene from Indiana University Northwest in 1997. She became a Dental Education faculty member in the Fall of 2014. She currently teaches Dental Radiology Laboratory and Radiology Clinic. Dr. Ristevski attended Indiana University in Bloomington, Indiana where he received his undergraduate degree. Dr. Ristevski graduated with Highest Distinction with a Bachelor of Science in Biology and minors in Chemistry and Psychology. From 2007 to 2011 Dr. Ristevski attended Indiana University School of Dentistry, where he graduated with a degree of Doctor of Dental Surgery with High Distinction. 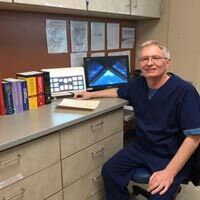 Dr. Ristevski now practices at Accent Dental in Valparaiso, Indiana with Dr. Dean Boldin and Dr. William Arthur Lyzak. 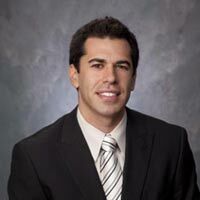 Dr. Ristevski enjoys many sports activities, with avid interests in basketball, soccer, and golf. In 2014, Dr. Ristevski became an adjunct faculty member at Indiana University Northwest Dental Education program where he serves as a clinical faculty member. As part of the program, Dr. Ristevski has the privilege to help students garner the necessary experience to become future oral healthcare providers. It is a rewarding opportunity to see personal and clinical growth of students throughout the course of the program as they work diligently to achieve academic success. Janet Tarkington graduated with highest distinction from IU Northwest Dental Hygiene Program in 2011. She obtained with highest distinction her Bachelor of Science, Majoring in Biology/Pre-Dentistry with a Minor in Chemistry from Purdue University in 2009. 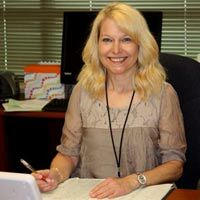 She completed the Master of Science in Health Care Administration degree from Grand Canyon University in 2016 and recently acquired her online teaching course certificate from IUN. Janet is also a licensed American Heart Association's CPR Instructor for healthcare professionals and the general public. A licensed dental hygienist with a Local Anesthesia Permit, she joined the Dental Education department as an adjunct faculty member in the summer of 2012 and works as a part-time clinician. Janet is a member of the Dental Hygiene Study Club of Northwest Indiana. She also serves on the IUN Alumni Association Board as the Dental Education school representative. Dr. Kevin Thornsberry received his DDS degree in 1978 from Northwestern University Dental School in Chicago. After twenty- seven years of full time private practice, he joined Indiana University Northwest in 2006 as an adjunct clinical faculty member. He is also a dental consultant for a major U.S. dental insurance carrier. He feels the dedication and enthusiasm of both faculty and students makes it a great Dental Education program which he is honored to be a part of. Lynne Wiley grew up in Griffith, Indiana. She received her Associate of Science degree in Dental Hygiene from Indiana University Northwest in 1988. She completed her Bachelor of Science Degree in Education from Indiana University-Purdue University at Indianapolis in 1994, and her Master of Science Degree in Education from Indiana University Northwest in 2007. She is a Certified Dental Assistant, a Licensed Dental Hygienist with a Local Anesthesia Permit, and a Licensed Teacher in the State of Indiana with a Cooperative Coordinator Endorsement. Currently, Lynne is a Clinical Associate Professor in the Dental Education Department at Indiana University Northwest. 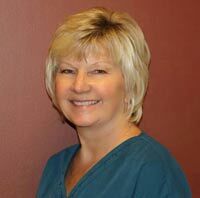 In addition, Lynne is the Treasurer of the Northwest Indiana Dental Hygienists’ Association. She is a member of the American Dental Hygienists’ Association, Indiana Dental Hygienists’ Association, and the Dental Hygiene Study Club of Northwest Indiana. She is the coordinator for the Caries Prevention and Coronal Polishing Continuing Education Course for Dental Assistants at Indiana University Northwest. Ronda Worden graduated from Indiana University Northwest with a Bachelor of Science degree in General Studies in 2015. She joined the faculty ranks in the Dental Education department in 2007. 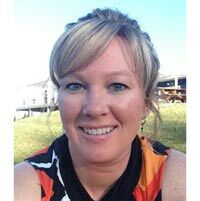 She currently teaches Fundamentals of Dental Hygiene, and is the Clinic Support Manager.